If you’re a resident of California, you’re probably familiar with the state’s confusing gun laws–especially when it comes to ARs. Struggling to navigate these laws? We feel you. California has added a lot of gun laws in the past few years and it can be tough to keep up with what is and isn’t legal, so today we’re going to talk about one particular area where people tend to have questions: featureless rifles. An example of a California Compliant featureless rifle. A semiautomatic, centerfire rifle with any one of those features and a detachable magazine is considered an “assault weapon” under California law and is illegal. 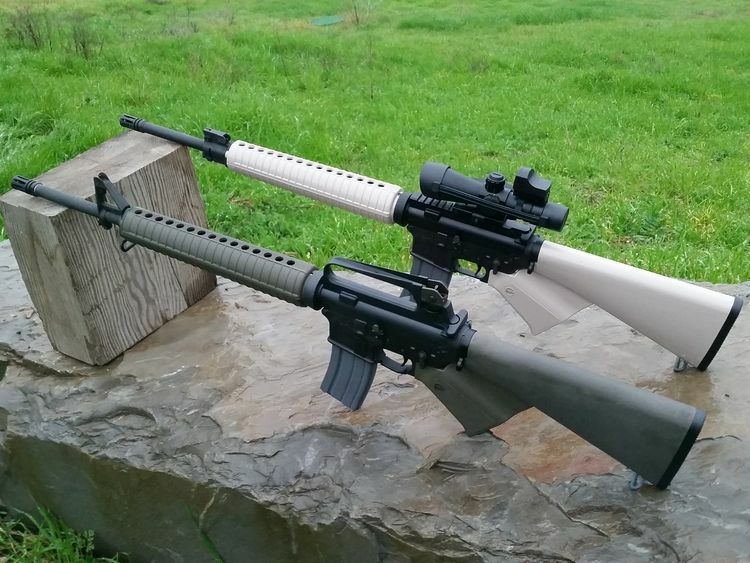 Two variants of a featureless AR build. Until you do one of those things, you are in possession of an illegal firearm. Since modification is the lesser of the four evils, we’ll be talking about the parts you need to modify an existing “assault weapon” and recommend a few of our favorites, but we’ll also be giving lots of helpful info if you’re doing a featureless AR-15 build. Finally, we’ll also be discussing a few pre-fab featureless ARs that you can buy if you want an AR but also need to make sure it’s California legal. A collection of options from Stag Arms. But first, let’s talk more about what exactly being featureless entails. Let’s start with a disclaimer: though the information discussed here is legal in nature, this is not legal advice. Once again, we’re not lawyers. Talk to one if you’re not sure if your firearm is legal or not. In addition, this is not a complete discussion of California gun laws or even those related to so-called “assault weapons.” We’re just talking about a few specific laws to help us define featureless rifles. 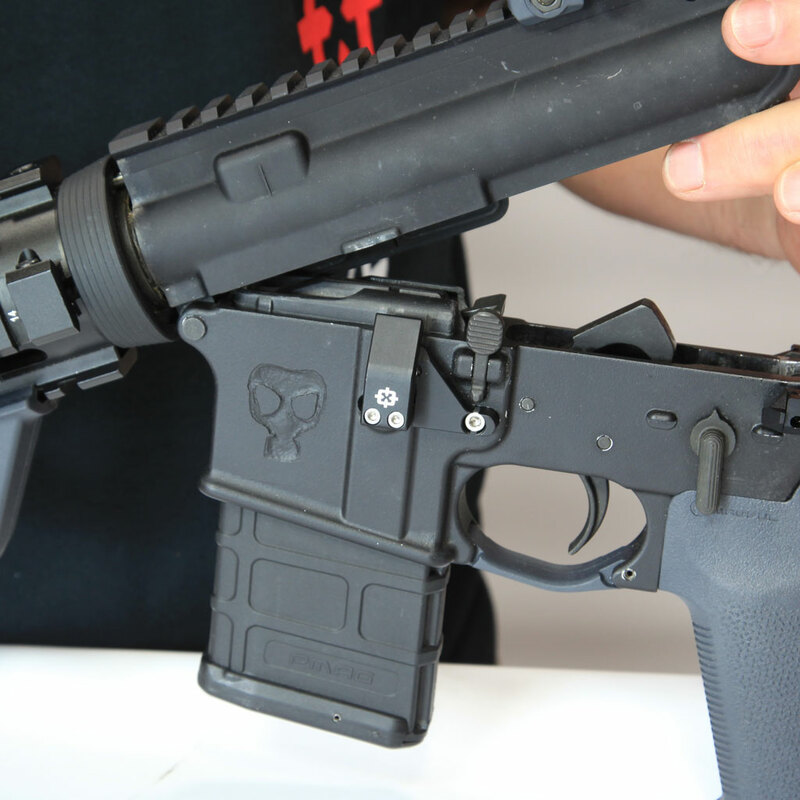 A rundown of all the features that have to go for your AR-15 to be CA Compliant. 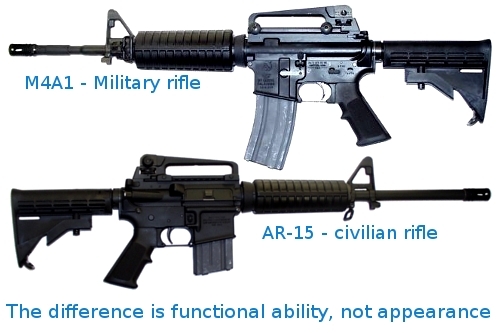 There are several categories that a firearm can fall into to be considered an “assault rifle” under California law, and featureless rifles are intended to avoid one particular one. As we stated above, to be considered featureless, a rifle cannot have certain features, including the popular pistol grip or the less popular grenade launcher. However, this only applies to semi-automatic centerfire rifles without fixed magazines. If your rifle has a fixed magazine, it can have any of those features, and manual and rimfire rifles are not affected by these laws. But be warned: in the past, if you used a bullet button (the branded name for a magazine lock that requires a tool for the magazine to be released), your magazine was considered fixed, but that is no longer the case. Finally, regardless of magazine type, rifles can’t have an overall length of less than 30”. So what’s the Point of a Featureless Rifle? Well, if you live in California and missed the deadline to register your “assault weapon,” going featureless is the only way you can keep your rifle legal, functional, and in-state. And if you want to acquire an AR that’s California legal without dealing with the hassle of a fixed magazine, a featureless rifle is the only way to go. Now that you’ve got a general idea of what a featureless rifle is, let’s talk about each of the “features” in a bit more detail. 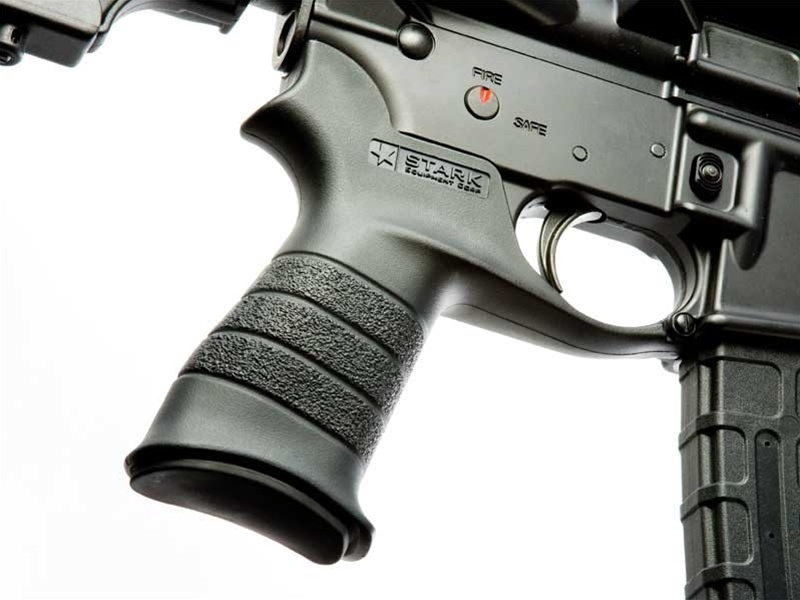 This is the typical grip for an AR-15, where you wrap your hands around the protruding grip while firing and the web between your thumb and pointer finger rests below the exposed trigger. 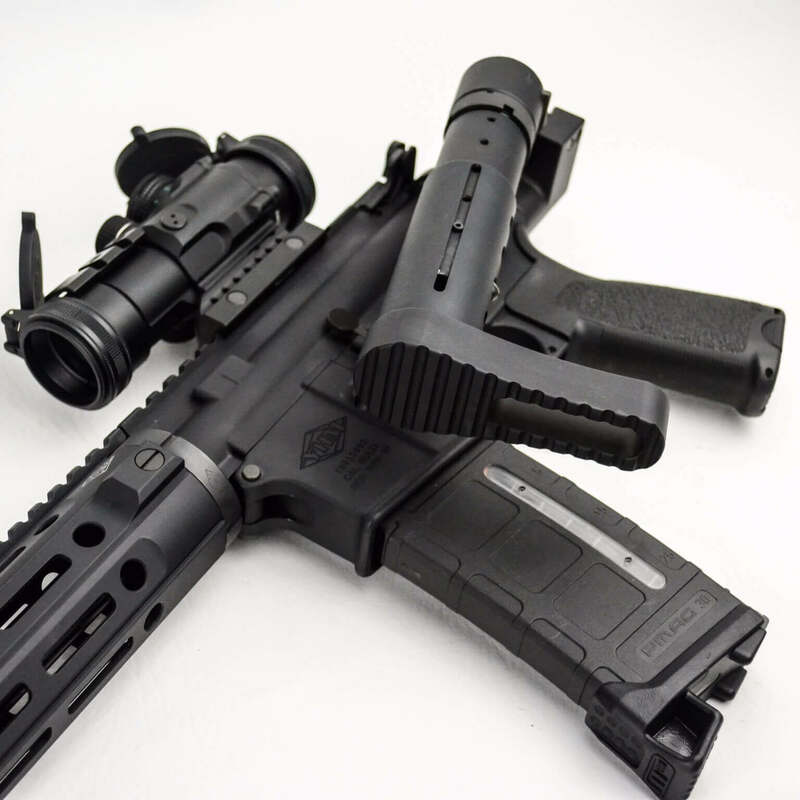 Stark AR-15 Pistol Grip–not legal in California. Exactly what it says on the tin, so even if you aren’t familiar with thumbhole stocks, you can probably guess what one is. It’s this, if you didn’t guess. 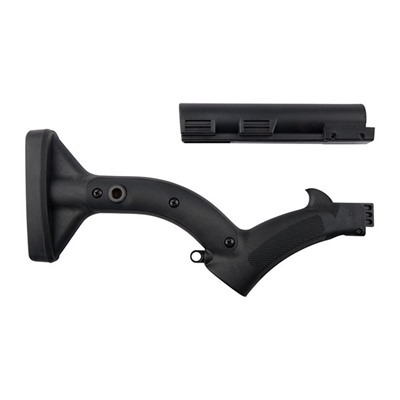 Just in case, a thumbhole stock is a stock with a hole that the shooter can place the thumb of their trigger hand through while firing the rifle. A folding stock can be folded over to one side so that your rifle is shorter for more convenient storage. Folding stocks are easy to move out of your way for transport. And they’re not legal in California. Telescoping stocks, AKA collapsible stocks, serve the same purpose, but instead collapse within themselves (think expanding and collapsing a telescope) and may be able to be adjusted in length for accuracy, convenience, and comfort. Telescoping stocks also make your rifle more compact. Spoiler alert: illegal in California. Self-explanatory and incredibly easy to avoid. Super mega illegal in California. 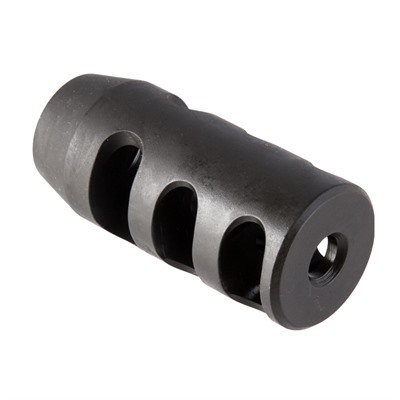 Flash suppressors, also called flash hiders, are muzzle devices that, as the name suggests, reduce visible flash when a gun is fired, by either cooling or dispersing ignited gas as it exits the muzzle. Flash suppressors come in two different types: multi-prong style (or duckbill style) and birdcage style. but sadly a no-go in California. 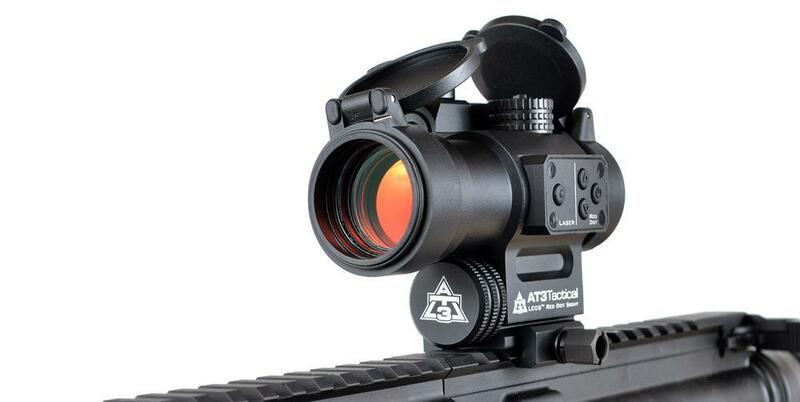 Most shooters use flash suppressors to minimize the sudden burst of light while night shooting, though they can be used to hide the flash, which is presumably what California’s state government is worried about. This is also called a vertical foregrip. 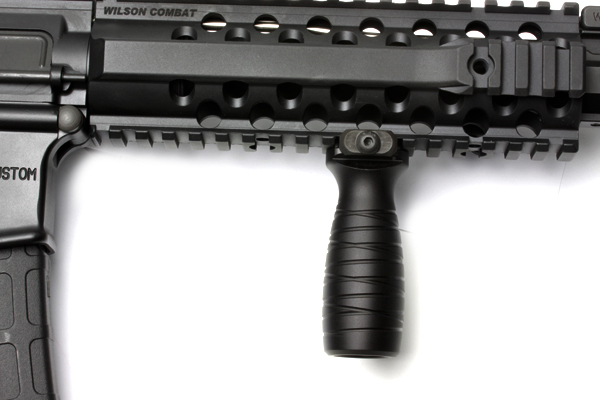 It’s a vertical grip placed towards the front of the rifle on the handguard that can be held like a pistol grip. A vertical foregrip. You guessed it! Also illegal in California. 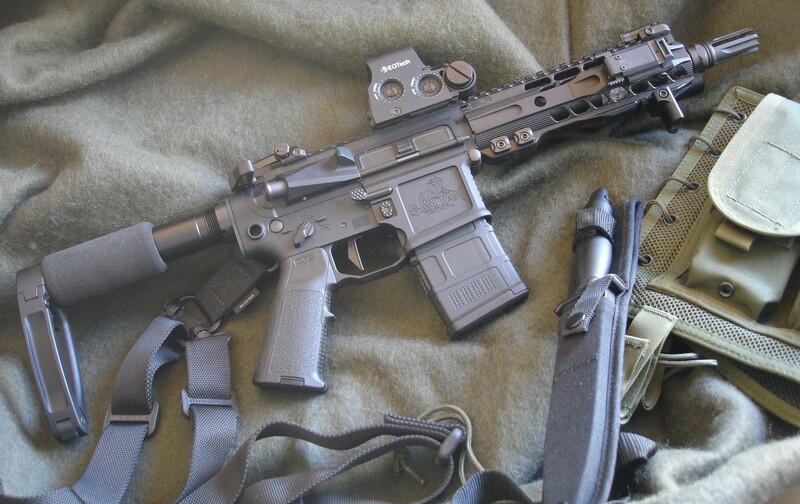 So how do you build or modify your rifle to make sure it’s compliant with California law? We’ll explain just what you need to know about that. Below, we’ll talk about what components you may need to change out, and some recommendations for parts you can use instead. 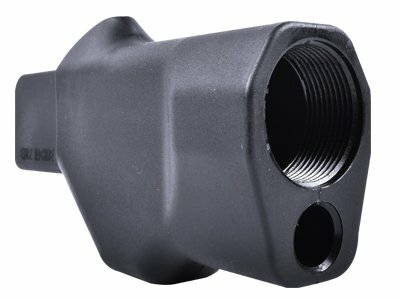 You can’t have a flash suppressor, but that doesn’t mean you can’t have a muzzle device at all. 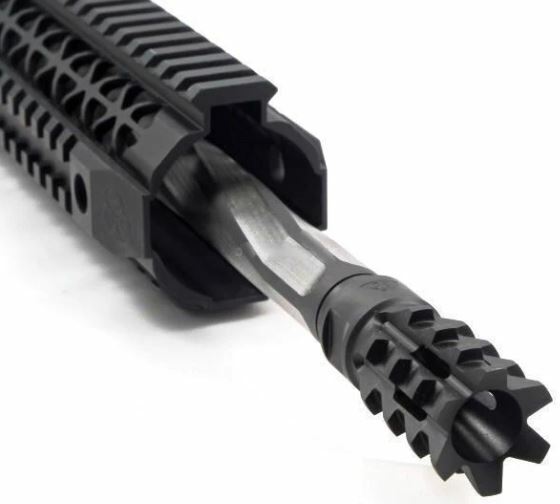 Avoid anything that talks about minimizing flash and instead go with a compensator or muzzle brake. There are plenty of options out there, but as always we have a few favorites. 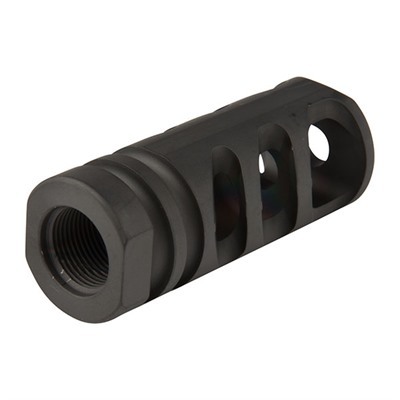 The Strike Industries J-Comp is an affordable, but effective compensator that will definitely get the job done. 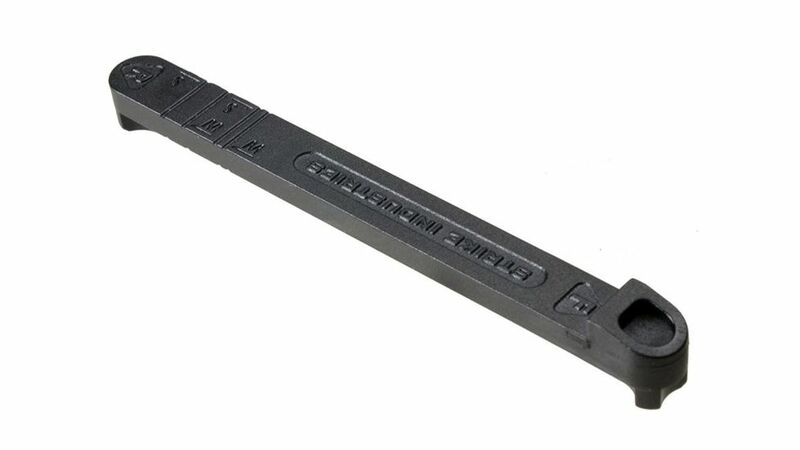 You may seem some rumors floating around that the J-Comp is a flash hider, but according to Strike Industries, this is due to a packaging error in the past. 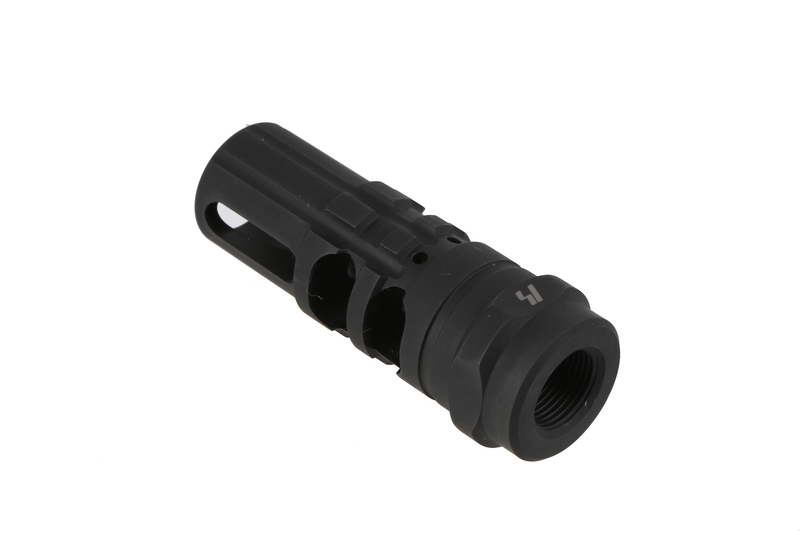 The J-Comp is not a flash hider, but another version, the J-Comp V2, is. The Precision Armament M4-72 Severe Duty is a top of the line compensator that’s pretty much unparalleled for recoil reduction. Somewhere in between is the Miculek Compensator. In terms of quality for your dollar, it’s probably the best deal available. Different grips are the biggest difference in both function and appearance between featureless rifles and standard ARs. 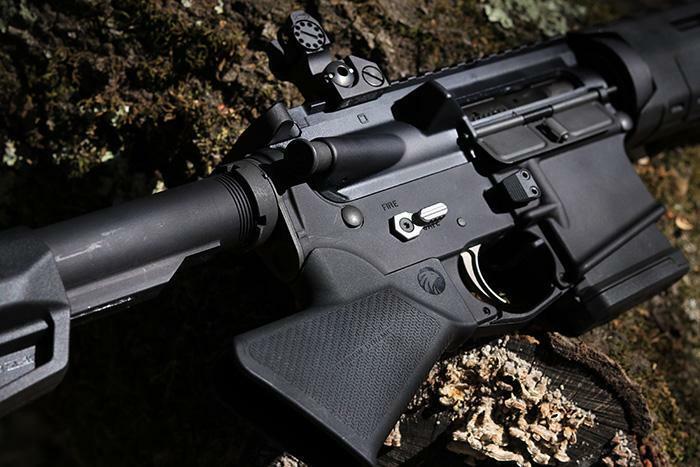 Without the pistol grip, your AR won’t look so much like an AR, but you’ll quickly get a feel for the different grip, which will feel more like a hunting rifle grip, and you shouldn’t see an impact on your performance once you’re used to it. The Hammerhead Stock Adapter from Exile Machine is a bit wonky looking, but it has less of a learning curve than other featureless grips since it replicates the grip of a hunting rifle. On the other end of the spectrum are the various models from Shark Fin Grips. 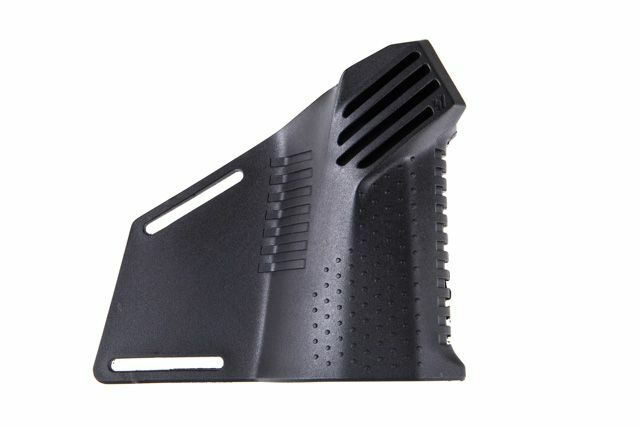 These are basically Kydex sleeves with a fin protruding from the back that you slip over your existing pistol grip to prevent you from using it as, well, a pistol grip. They’re a good option if you need a fix right now, but they’re very awkward to shoot with, so we wouldn’t recommend them for a long term solution. The Strike Industries Megafin Featureless Grip offers a similar solution, but much more effectively executed. Like Shark Fin Grips, the Megafin Featureless grip has a fin that extends from the back of the grip, but the Megafin is a grip of its own, rather than something you fit over your grip. In addition, the Megafin angles back and has a built-in thumb rest for a more comfortable feel. One thing to remember: with a featureless grip, you won’t be able to use most safeties anymore since all your fingers are on the right side of your weapon. Lucky for you, we’ve recommended a couple of ambidextrous safety options in the “Helpful Additions” section below. 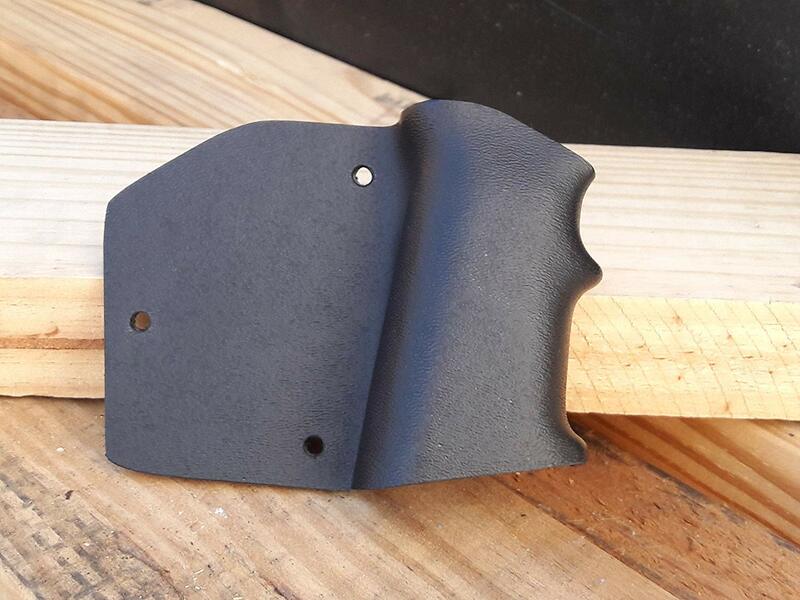 Theoretically, you can use a blind pin and epoxy to render your collapsible or folding stock immobile, but there are items available that are specifically designed to convert your favorite folding or telescopic stock to a fixed stock. 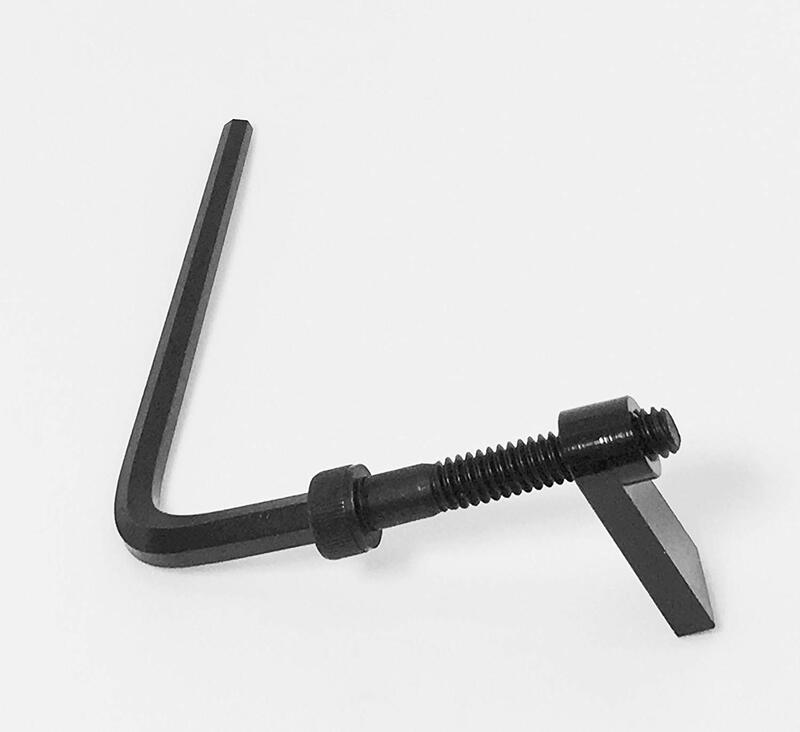 Range Roll’s Stock-Lok allows you to convert your collapsible stock to a fixed stock without drilling, pinning, or otherwise damaging your stock, so you can easily change it back if you leave the state. Strike Industries offers a similar option with their Stock Stop. You just use it to fill all but one of the holes on your adjustable stock. Unfortunately, you can’t customize the length, but it is what it is. With that said, some people think it’s safer to just go with a fixed stock. 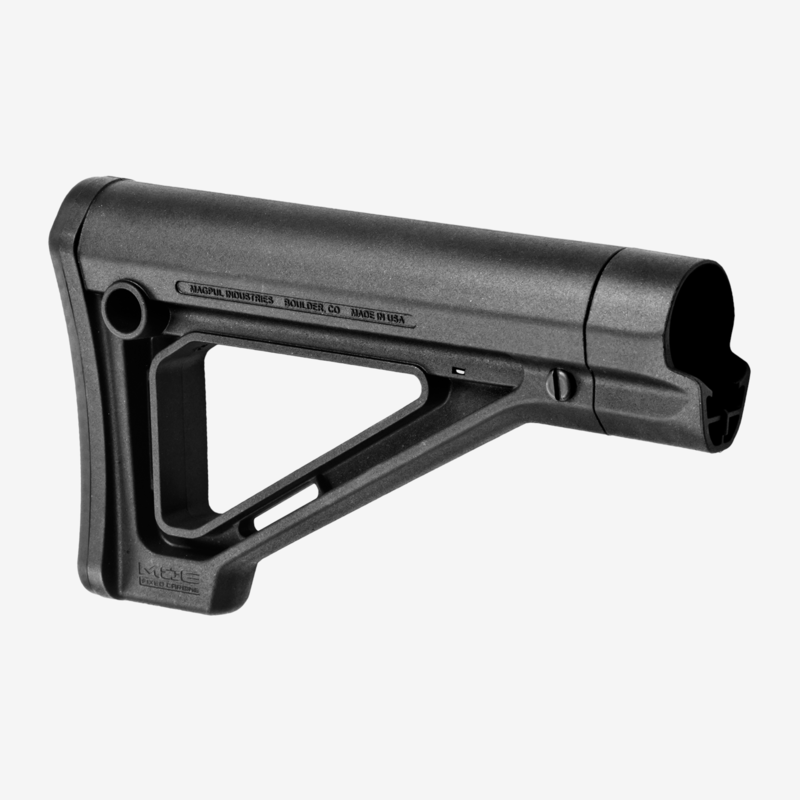 The Magpul MOE stocks are some of the most popular and best-known aftermarket stocks currently available. 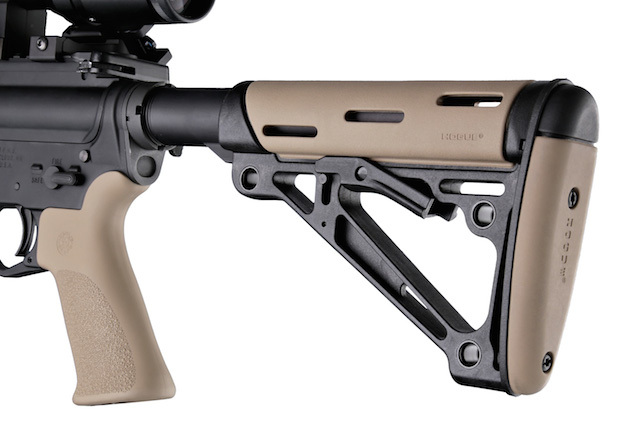 Our favorite of their fixed stocks, the Magpul MOE Mil-Spec Fixed Stock is an excellent and affordable choice. 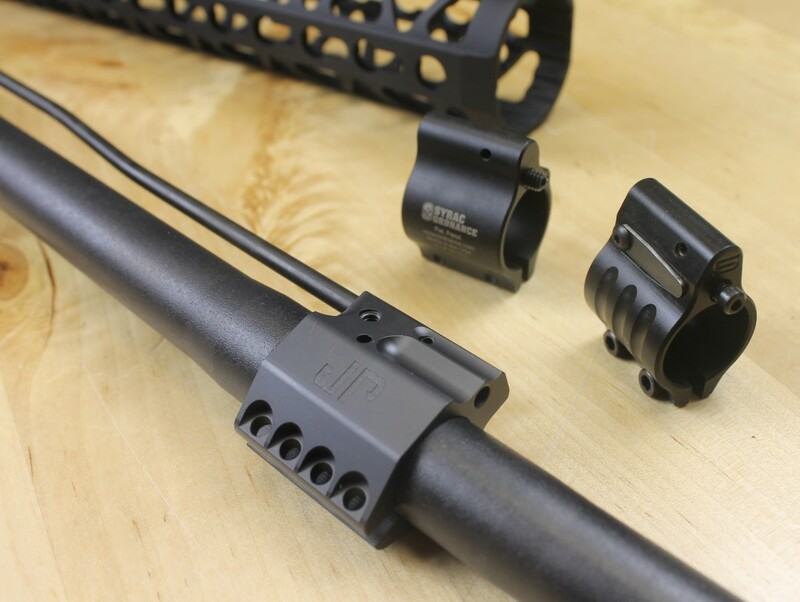 Some people have reported that they don’t find it particularly comfortable, but with a variety of stock accessories available from Magpul, including alternative buttpads, you can make it your own. For a lightweight but durable high-end fixed stock, go with the aluminum DoubleStar Ace Skeleton Stock. 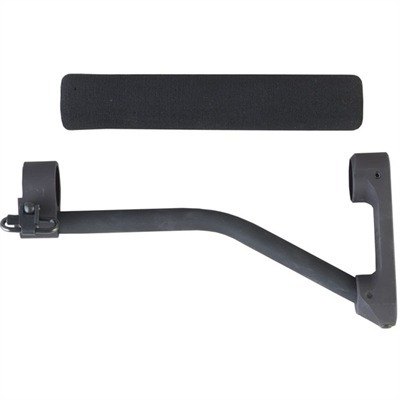 This stock can handle anything you put it through with ease. 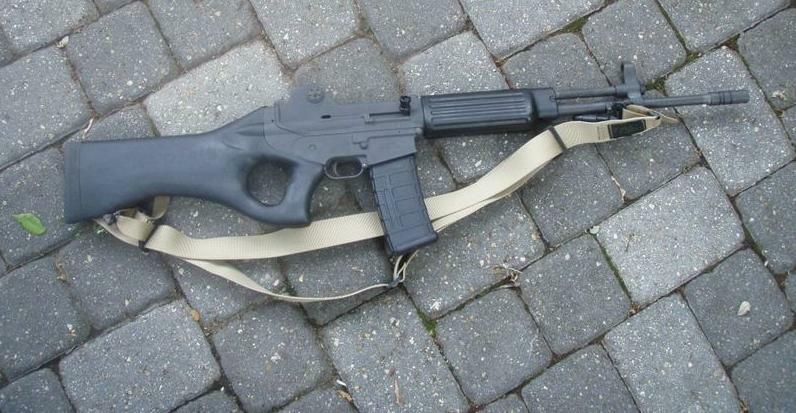 A2 buttstocks are a solid choice if you want a vintage look. They’re available from a wide variety of manufacturers and, as an added bonus, have storage compartments. These last features (thumbhole stock, grenade or flare launcher, and forward pistol grip) are just not allowed, so just don’t have them in the first place. If you have one on your rifle, remove it. If you don’t then don’t add one. If individually picking out pieces seems like too much of a hassle, you can go with a conversion kit instead. The Thordsen FRS-15 Stock kit allows you to make both your pistol grip and your stock (which we’re discussing next) featureless using the same kit. These kits are available in a few different colors and a couple of generations, both of which are totally California legal. 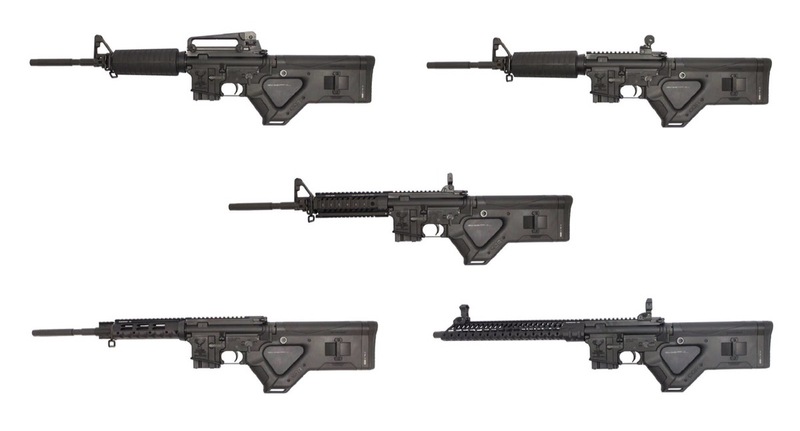 If you’re concerned with preserving the aesthetics of your AR, going with one of these kits, especially a Gen II option, is your best bet. 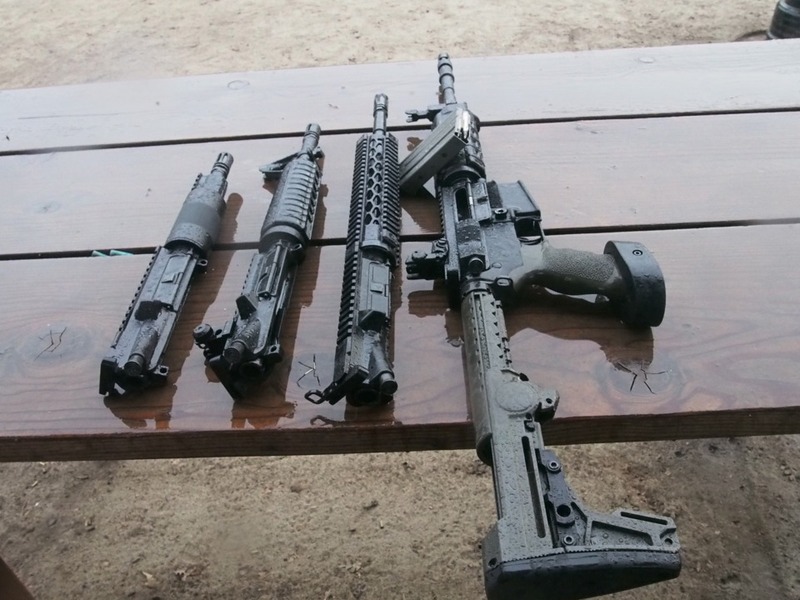 Moriarti has several different California Legal Conversion Kits, in a variety of styles available both with and without a muzzle brake or thread protector. They’re all high quality and with so many options available, the hardest part will be narrowing your choices down to which one you like best. And if you like the feel of your telescoping stock, you can go with the full featureless Stock-Lok Kit, which includes a Stock-Lok, a featureless grip with a convenient thumb rest, a muzzle brake, and all the tools and hardware you need to install your new featureless items. Once you’ve got your featureless rifle, there are a couple of other additions you might want to make so it’s more functional and convenient. We mentioned above that finned grips make most safeties basically unusable since all your fingers are positioned on the right side of the gun, so you’ll want to get an ambidextrous safety that works with your grip. Seekins, Battle Arms, and DPMS all make excellent ambidextrous safeties that will be easy to use with your featureless grip. A thumb rest can provide a morecomfortable grip on a featureless rifle. A lot of featureless grips and stocks also force you to modify your grip in a way that doesn’t leave a great place for your thumb. 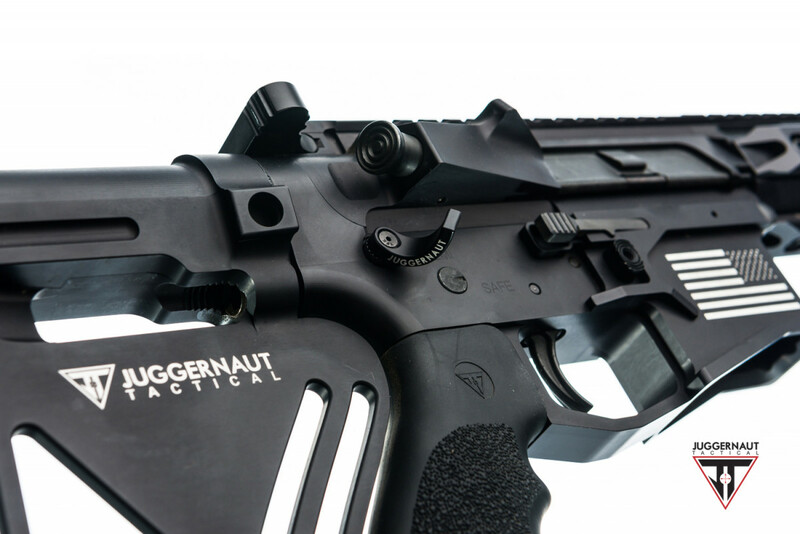 Adding a thumb rest, like the Juggernaut Tactical Thumb Rest, allows you to use your featureless grip more comfortably and effectively, and leaves your thumb in an excellent position for manipulating your fancy new ambidextrous safety. Finally, if dealing with a build or modding an existing rifle seems like too much work, you can always just buy a featureless rifle. One of the best options out there is Springfield Armory’s California Compliant SAINT AR-15. It gives you the performance and reliability of any Springfield rifle, but also does a pretty great job of maintaining that AR aesthetic, all while staying within the boundaries of California law. 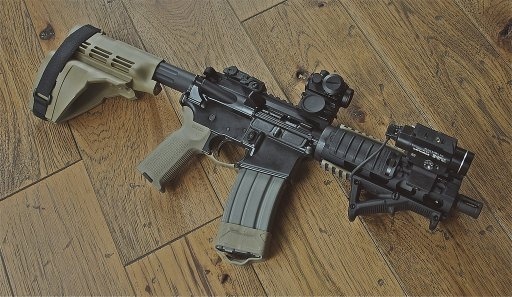 If you don’t mind giving up some of that AR appearance, then your options open up. The Ruger Mini-14 is an excellent general purpose rifle that is chambered in 5.56 NATO and accepts AR-15 magazines, so you can still use any that you have laying around—just make sure their capacity is 10 rounds or less, in accordance with California law. Another great option is the Springfield M1A. This gun packs a big punch in a small body, but make sure you pick up a California compliant model. So does a featureless rifle still sound boring? Well, you can get around these requirements by instead making sure your rifle has a fixed magazine. 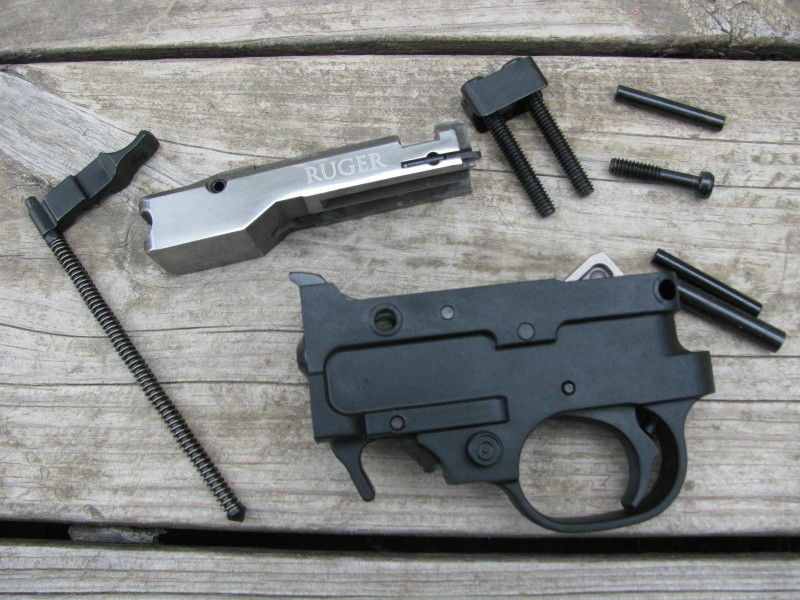 Bullet buttons may no longer be added to firearms to convert a detachable magazine to a fixed magazine, but you can use magazine locks, which require you to separate your upper and lower receivers to release your magazine. There are tons of options out there, but our favorite is the Juggernaut Tactical Hellfighter Kit. That’s all we’ve got for you on featureless ARs. Whether you’re a California resident who missed the deadline for registration, are planning to move to California and need to make sure your rifle is compliant, or want to acquire a California compliant rifle, you should have found pretty much all the info you need in this guide. But if you still have questions about a particular item we recommended or something else we mentioned here, please ask away in the comments. Once again, however, we’re not lawyers, so for questions about exactly how these laws work, please consult a lawyer. Do you own a California Compliant AR-15? 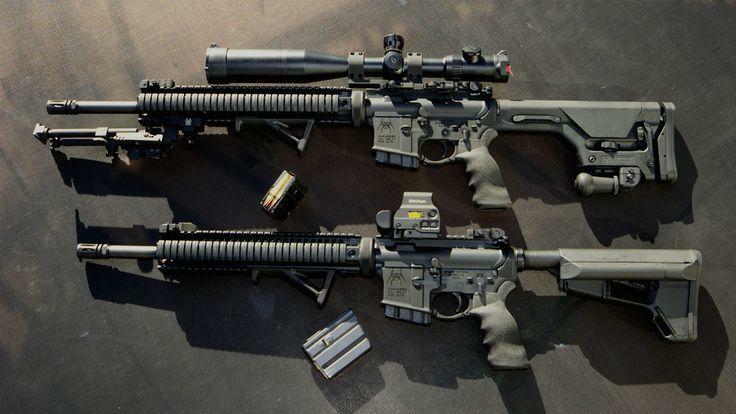 Did you purchase one, or modify a non-compliant rifle? Tell us about it in the comments! 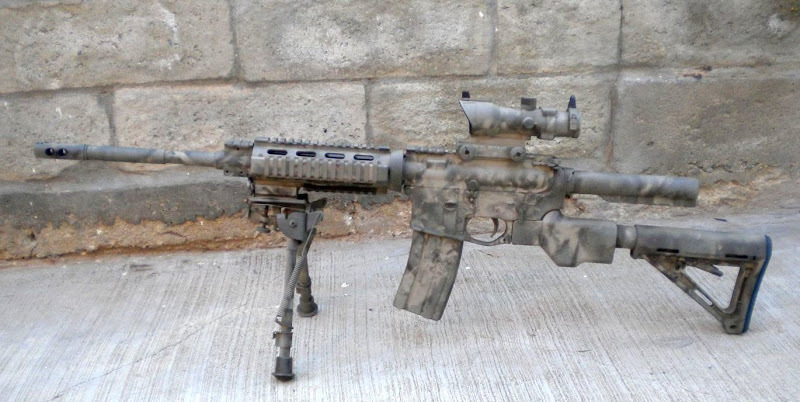 For more interesting ways to mod your AR, check out our guide to the Best AR-15 Upgrades.